It is almost that time of the year again, the winter steelhead fishing season on the Chilliwack River! 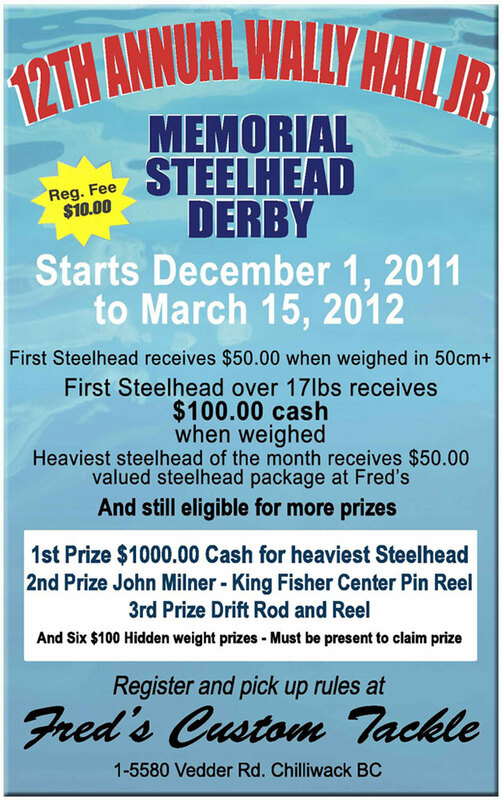 Just like other years, Fred's Custom Tackle will be hosting its annual Wally Hally Jr Memorial Steelhead Derby, which runs from December 1st 2011 to March 15th 2012. You can purchase your ticket at the store now. Please see the poster below for more information.